GPS Users – if you use Google it will get you to the arena. A Complete Dispersal – (59) cows – mainly Angus influence, few red, average 6 yrs. 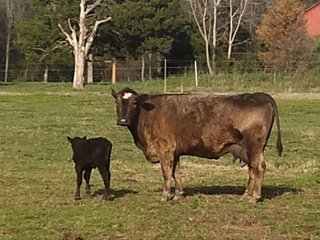 of age, bred to Nichols bulls, at press time there are (38) cow/calf pairs, have been on regular vaccination program & de-worming program, medium frame cattle, forage based cattle. Grass got short in this area this past year, the cattle will have a lot of come out to them. 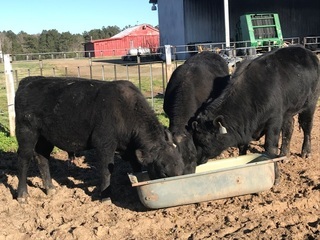 (15) head commercial Angus cows, (2) will calve in May, balance should be early fall calvers, bred to Angus bulls, on annual vaccination & parasite control program. 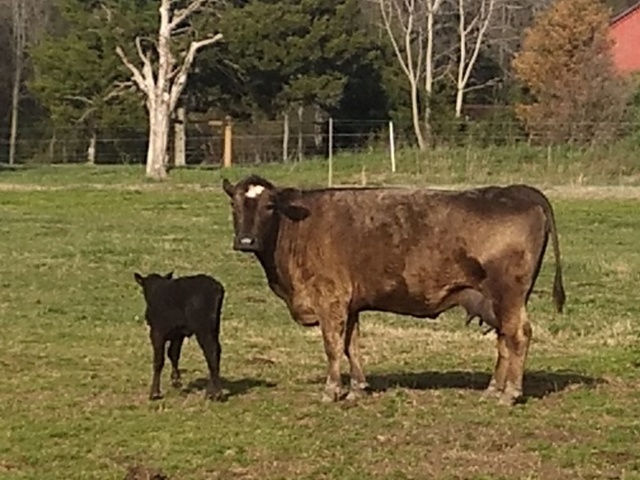 (14) cow/calf pairs, 2nd to 5th calvers, BWF & Black, calves were born September ’18 – January ’19, all sired by Angus bull, medium to large frame cattle, good body condition, bred back to Angus bull, at press time some of the calves selling weigh 500# so there will be some splits in this herd. Selling (3) 18-month old registered Angus bulls, calving ease, (2) are Gardiner breeding, (1) Quaker Hill Rampage, raised on forages, have not been pushed, should be able to bred cows & continue growing at same time. AAA registration numbers: AAA 19213272, AAA 19213307, AAA 19212531. Bring stock trailers sale day. Would like to load cattle out sale day. Trucking available if needed. Sale order available sale day or check the web late Friday afternoon for posting. Print before you come & have a head start w/the pens marked that will fit your farm. If –U- can’t make it to the auction, call E.B. or Shane to get what –U- need.